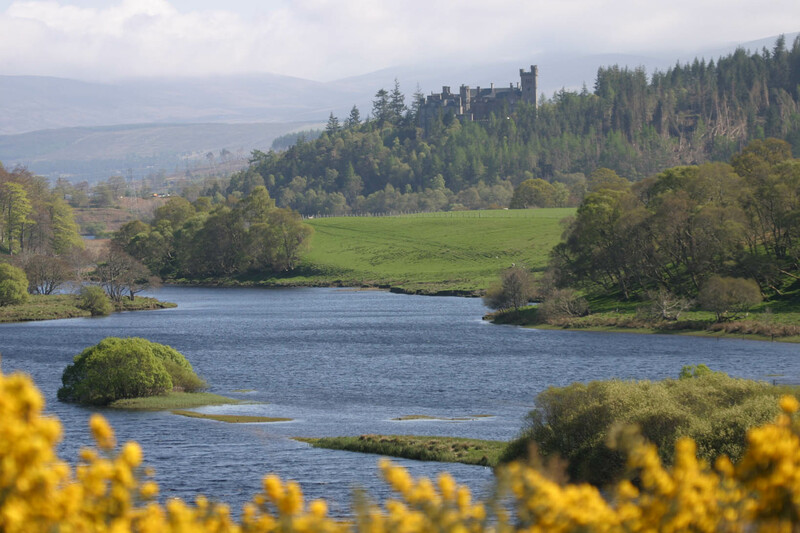 On 27 April 1650, James Graham, Marquis of Montrose - he whom they call The Great Marquis - fought and lost the Battle of Carbisdale. Montrose fled west, first along the Kyle of Sutherland, then north west, either along Strath Oykell or else into Glen Cassley. The weather is recorded as having been unseasonably unpleasant, with snow on the wind. So the journey to and across the lower slopes of Ben More Assynt cannot have been pleasant, even without the horror of escaping from military defeat. 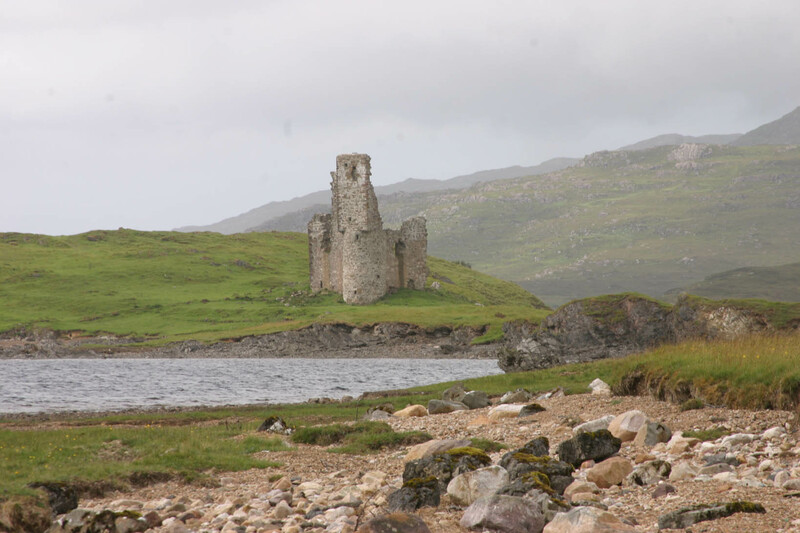 The sight of the friendly castle on the shores of Loch Assynt must have been most welcome; though alas Neil MacLeod of Ardvreck proved no friend to Montrose, first imprisoning him and then at the start of May handing him over into government captivity. Ultimately, of course, Montrose was hanged, on 21 May, beside the Mercat Cross on Edinburgh's High Street. Nearly four hundred years later, Glen Cassley is a quiet place of sylvan beauty, though its appearance is changing once again. No longer are there sheep in the glen, and with their departure the vegetation is growing; and as the grass flourishes, then so must all the little flowers - the beauty of a Scottish summer - grow longer and leggier. 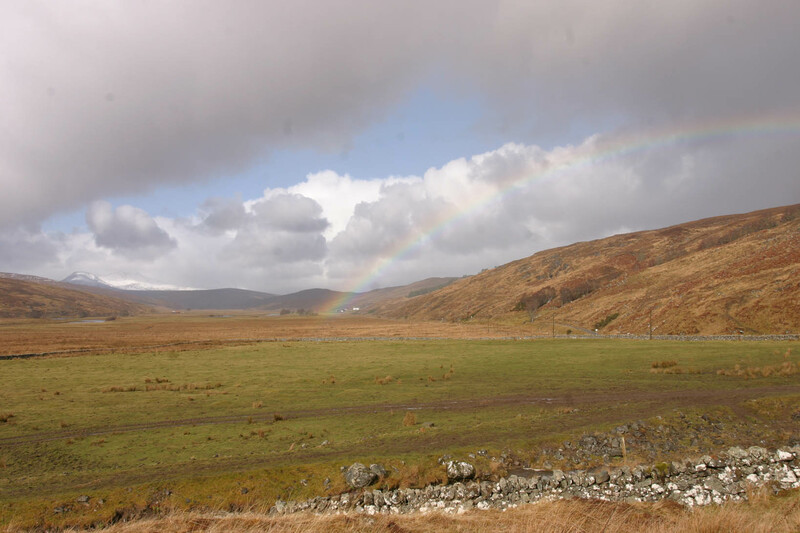 Where until very recently there were sheep, now we see deer, all three of roe, sikha and red deer. Only the salmon in the river continue unchanged, once they have mastered the Falls of Cassley. But the tranquillity remains. And what has been a favourite place now finds itself as the background to a personal website.